I posted rather excitedly on the Pebble when I heard about the amazing Kickstarter campaign. Part of the excitement was due to the fact that they’d raised so much money so quickly, but it really was mostly due to the incredibly cool presentation of an e-ink watch that can connect wirelessly to an iPhone. 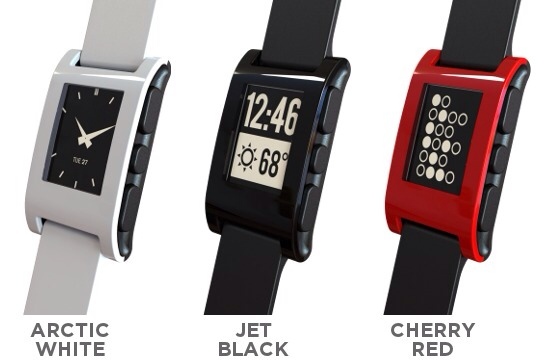 However, now that I’ve had some time to mull the idea over, I don’t think I’ll be investing in a Pebble. I still think the idea of a wirelessly connected smartwatch is brilliant, but I think that the Pebble experience will ultimately be marred by a lack of native support on iOS. As John Gruber pointed out on Daring Fireball recently, iOS, in its current iteration, simply isn’t designed to interface with a watch in the manner that we want it to. The example Gruber used is the way Pebble only informs you of incoming phone calls, but not texts or e-mails. I’d liken this to the way that Bluetooth keyboards work with iOS. Apple’s own Wireless Keyboard works well enough with the iPad, but for whatever (stupid) reason, Apple hasn’t seen fit to re-map any of their own keyboard’s keys to function as the Home button. The “Esc” button on the Apple Wireless Keyboard is great candidate for “Home”, but it simply does nothing when paired with the iPad. Then there’s the lack of any iPad keyboard shortcut equivalent of Cmd + Tab, which helps Mac users quickly switch between apps. Cmd + V still works for pasting, but Cmd + Tab will not bring up a multitasking bar…no matter how much you may want it to. It’s exactly these kinds of limitations I predict Pebble users will run their heads against. That’s not to say that the product can’t be good or useful, but that attaching wireless accessories to iOS devices is still an iffy proposition, at best, and I’d like to see what kind of accessory support (if any) Apple rolls out in the future before making any more investments myself.